I remember first hearing about “To This Day” in February of last year. One of my colleagues e-mailed a link to the YouTube video of the animated spoken word poem. I immediately fell in love. The next day, I showed all three of my high school English classes the video. After a few tears and a lot of discussion, I left school feeling like a rock star. But I can’t take credit. I exposed my students to Koyczan’s empowering verse, yes, but there are many teachers who show their students various avenues of literature. Without his impetus to reach out to thousands of bullied teens, the video would have never been made, and some of my students would still be struggling with self-esteem and silence. If the words themselves weren’t enough, thirty artists have come together to illustrate the poem, giving realistic portrayals of the lives of those who are bullied every day. For those who have experienced the same types of bullying situations as Koyczan himself as a child, the words and illustrations will resonate and hopefully heal the wounds caused by others. For those who have been lucky enough to escape bullying, the call to action to end bullying should be enough to want to reach out and help those who are suffering, to step in when bullying is evident. And for the bully, one can only image the situation that he/she must be involved in to hurt someone else. Perhaps this poem can reach out to all three individuals and end bullying forever. Not only does the book have breathtaking poem and illustrations, but Koyczan goes a step further when a preface and an afterward as well as resources for those who need help. 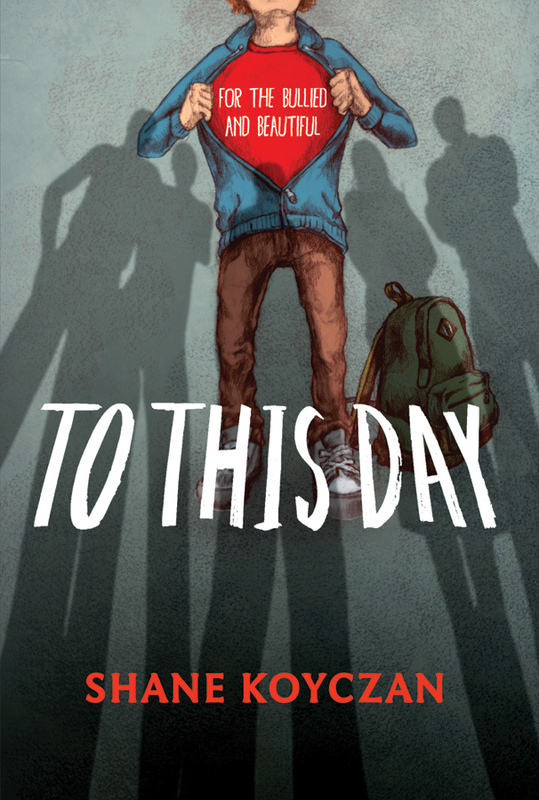 To This Day: For the Bullied and Beautiful is an ode to the beaten and the ridiculed while proving that there is always hope, always a better day, always help.